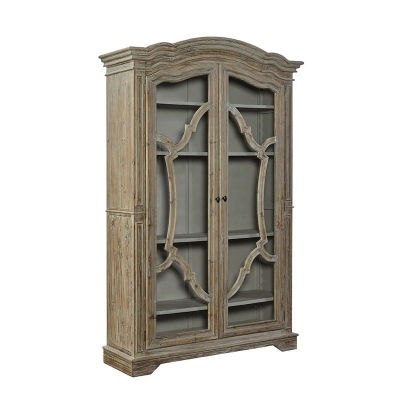 The Furniture Classics 40-52 Sanada Cabinet is available in Hickory Park's, North Carolina Furniture Galleries. Hickory Park may be restricted from showing prices, however please select the Click For Quote button and Hickory Park Sales and Design Staff will reply or please call (828) 322-4440 for more information. Wood type: Recycled pine Derived from today's on trend lattice patterns, the distinctive routed tracery on the shaped doors of this handsome cabinet provide a pop of high design The soft grey and ochre finish contrasts with the solid grey interior Four fully adjustable shelves with plate grooves make this cabinet perfect for storing china or books or both! Click here to receive price quote for Cabinet 40-52 item.